What If Boys Can’t Find the Right (Reading) Stuff? 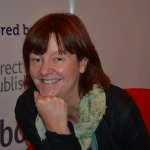 Last Week’s Topic: Are Publishers & Authors Getting Closer? Publishing Perspectives Editor in Chief Edward Nawotka and I will host a live Twitter chat on this week’s Ether topic at 11 a.m. ET / 8 a.m. PT—and that’s 4 p.m. BST in London, 5 p.m. CEST in Berlin, Paris, and Rome. We’ll use the hashtag #EtherIssue as we do weekly. Join us and watch for @PubPerspectives and @Porter_Anderson on Twitter. Alison and I often talked about what boys wanted from books and many of these conversations have stuck in my mind. In one conversation I described my frustration at the lack of picture books that engaged with boys’ enthusiasms in way that TV, films, comics and other media did. I described literacy as being like a ladder, with the first rung being board books, the next picture books, then chapter fiction, children’s fiction, teen fiction and finally adult fiction at the top. I told Alison I felt that many boys found that the picture book rung was missing for them. Alison told me that many boys found that the chapter fiction rung was missing as well. That’s Max Emmett’s father, the author Jonathan Emmett in Nottingham, describing his first encounters with the problem that has led him to look extensively at the UK’s children’s picture-book and children’s and teen’s fiction markets. This 24-page report, Cool not Cute, is the long form of Emmett’s explication of his concept. There’s also a one-page summary here, and I appreciate him pointing out to me that there’s an Excel spreadsheet of his data linked on the page. Emmett’s research on what’s available for children in terms of picture books in the UK market has led him to a controversial conclusion. Our colleague here at Publishing Perspectives Dennis Abrams wrote it up in the form of a question based on a Times report: Are Boys Not Reading Because of All Those Women in Publishing? And Emmett, observing that the majority of publishers, editors, librarians, judges, and reviewers of children’s books were women, says the situation may exacerbate the literacy gap between boys and girls. In my correspondence with Emmett, I’ve had an important clarification on this point from him. And in his most accessible write-up on his research — Should Gender Balancing the Books Be for Adults Only? 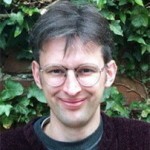 — Emmett writes that his intent was to follow up on the Guardian’s analysis of gender in authors and reviewers in the UK. That, in turn, of course, was modeled on the highly regarded work of VIDA in the US in studying the same thing there. 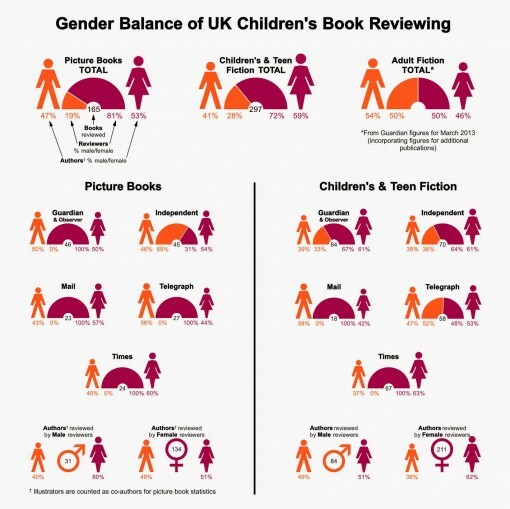 The Guardian’s analysis focused on the reviewing of books for adults but, as a children’s author interested in gender bias, I was curious to know about the gender balance of UK children’s book reviewing. So I conducted my own analysis of the children’s books reviewed by five UK national newspapers in 2013. I only counted regular reviews of newly published books in the book sections of the print editions of each newspaper…Picture books were counted as being half-authored by both author and illustrator and the reviews from the Sunday editions were included in the overall count for each paper. Having started with the Boys’ Reading Commission report from the National Literary Trust for 2012, Emmett cites the commission’s determination that boys may have trouble finding material that interests them and, on Page 22, a note reading: “Some teachers and librarians asserted that it is a supply issue and linked it to the female bias of the publishing industry.” The commission’s key finding was that only one of four boys in the UK reads outside of class each day. That element of the material didn’t figure into the Times’ report with a link-bait headline (as Emmett agreed with me), It’s no wonder boys aren’t reading — the children’s book market is run by women. That’s not a headline written by Emmett, nor may it even have been written by the article’s authors, David Sanderson and Fiona Wilson. The basic premise of what Emmett is laying out here is that the preponderance of women in the curation and presentation of so much of children’s material may have something to do with a perceived lack of content that’s as interesting to boys as it is to girls. Based on survey work in the US and on what he has heard from an editor, Emmett says he estimates (his emphasis to me) that that 90 to 95 percent of picture books were purchased for children by women. The analysis is divided into children’s picture books and children’s and teen fiction and encompasses 462 book reviews. It reveals another strong gender bias — only in this instance in the opposite direction, with the majority of reviews and the majority of books being selected for review being written by women. The imbalance is less marked among authors; 47% of the picture books and 41% of the children’s fiction reviewed was by male authors. However there’s a pronounced imbalance among reviewers, with less than a fifth of picture books and less than a third of children’s fiction being reviewed by men. By happy coincidence, you’ll find that VIDA has issued its own first report on children’s literature (using awards as a criterion since the availability of factors in the adult trade aren’t present in kids’). There’s interesting browsing to be done among the various prize reports, each set out in graphic form by VIDA. Gender imbalance is less important when men are in the minority. And those are good places for us to start thinking about our #EtherIssue discussion. A more diverse set of editors and a more open publishing mindset might mean there was something for every reader. I hope that editors take note and start to publish stories that will appeal to boys or girls who also like to read more boy – typical work. Gentlemen….. a market opportunity awaits….. start your engines. Let’s assume that women do indeed outnumber men in the children’s sector of publishing: do you then buy Jonathan Emmett’s assertion that this could mean less material being produced that might appeal to boys? If you’re inclined as some of my Twitter followers were to try to dismiss this whole thing as out of hand, consider this: if Emmett had found the shoe on the other foot — a children’s industry heavily dominated by men — would you then say that there wouldn’t be any effect on content for girls? In other words, if we are to take the good work of VIDA seriously (and I assume that means its own children’s inquiry, too), then do we not have a responsibility to take on board what Emmett is saying, as well? — does it matter which gender appears to dominate? Bottom line: what’s your own experience? Do your observations of young people’s literature tend to indicate that there’s less that appeals to boys? 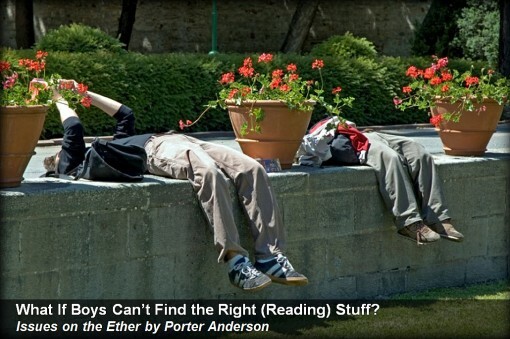 And if so, do you think this could play a part in the issue of boys reading less than girls? We’d love your input on Wednesday at 11 a.m. Eastern, 8 a.m. Pacific, 4 p.m. BST on hashtag #EtherIssue — see you then. As you’ll recall, our focus last week brought us a rousing live #EtherIssue conversation, and my thanks to everyone who joined us. Debbie Young, a co-author of the Opening Up to Indie Authors book from the Alliance of Independent Authors (“ALLi”), has posted a piece about quality in self-publishing, as the new book becomes available to Amazon Kindle readers: Opinion: Spotting the Elephant in the Self-Publishing Room. It was a special pleasure, as we focused on ALLi and its new “Opening Up” project, to be in Charleston at the PubSmart Conference’s debut, with Orna Ross, ALLi’s founder and guiding light. A few hours after our Twitter chat, Ross and I took to the streets of Charleston in a horse-drawn carriage with a few of our colleagues, so I could share a little of the history of my Deeply Southern hometown, and Ross was a major player throughout the PubSmart confab, great to have her. Our basic question last week revolved around such initiatives as the new ALLi project — kicked off at London Book Fair — and whether these efforts might contribute to closer (and presumably better) relations between traditional and self-publishing…or might they inadvertently tend to widen the gap between such camps. It’s not a matter of either/or for ALLi, but of doing all these things. We have in planning a “Book of The Month” Award that will help highlight some of the better books emerging from selfpub (its rollout has been delayed by sponsorship issues but ready to rock very soon). And while we have members who want to plough a completely indie path, we also have many self-published who want to integrate into the wider books infrastructure. One of our founding principles is inclusivity, so we hope to tackle the challenges of self-publishing in a myriad of different ways. One of the reasons for the petition is to make people in libraries, bookstores etc. aware that there ARE self-publishers who want to partner with them. Like most of our initiatives, it’s done in a spirit of creative experimentation and dialogue. So with that in mind — the inclusive intent of ALLi’s program — it’s good to look back at the lively conversation we had. Here’s a representative round of tweets from the discussion on #EtherIssue. #EtherIssue @janesteen, But failure is financially worse for indie authors. Have just seen a tweet that starts 'Bad books fall and good books rise.' No, no, no. On several levels. EVERY book has to prove itself! 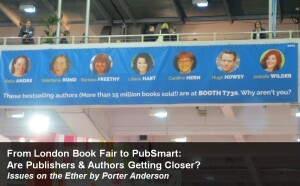 @Porter_Anderson @JohnDoppler #EtherIssue @PubPerspectives What difference between quality selfpub vs Big5? #EtherIssue I've read far too many underfinished works, as @Roz_Morris put it. Makes me wary of future reads. And be sure to join us Wednesday at 11aET / 4pBST / 5pCEST / 8aPT for this week’s get together on hashtag #EtherIssue.